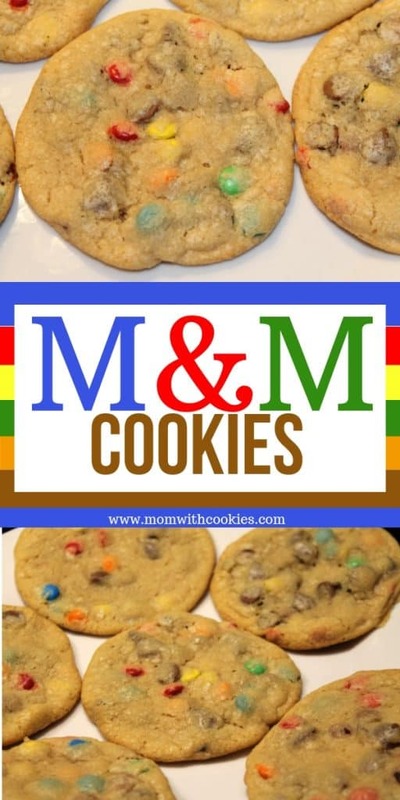 When it comes to cookies, how can you go wrong with chocolate chip m&m cookies? They have everything and more that you could ever want in a cookie. 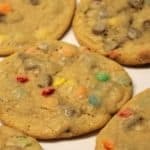 I actually used my chocolate chip and butterscotch chip cookies recipe, and instead of using butterscotch chips, I replaced them with m&m’s. What is the best kind of M&Ms to use? 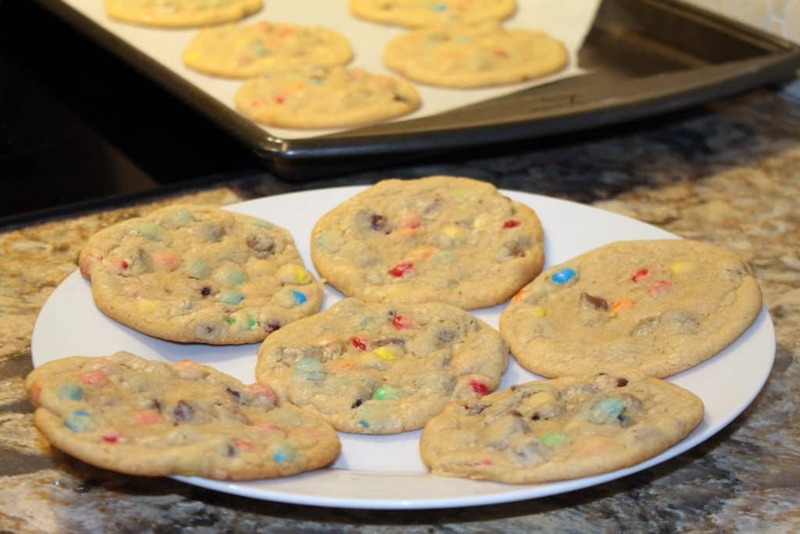 When making these M&M cookies, the star of the show are the M&Ms. 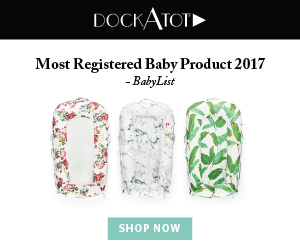 So, what is the best kind to use? full size M&Ms- good for a cookie that really shows thoes colors! baking M&Ms- these are smaller, but still just as tasty! Do you have to add Chocolate chips? 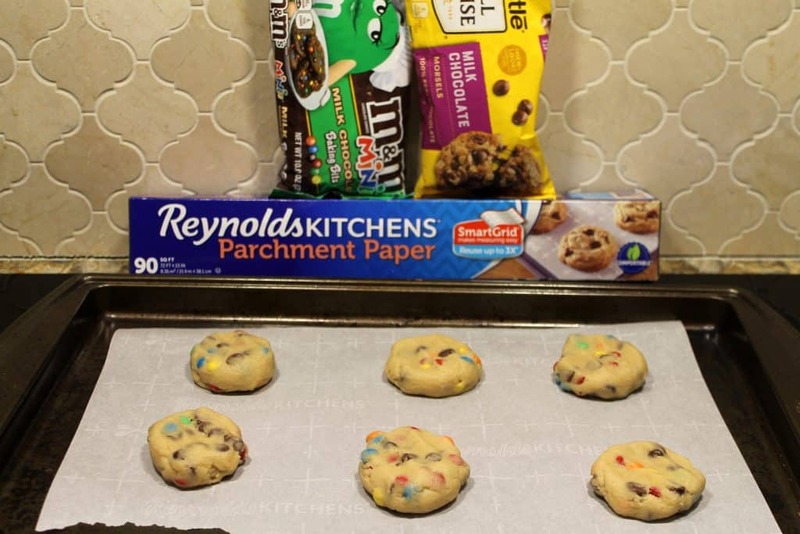 While chocolate chips really take these M&M cookies up to another notch, you could also simply double the amount of M&Ms used. The first thing you should do is pre-heat your oven to 350 degrees Fahrenheit. 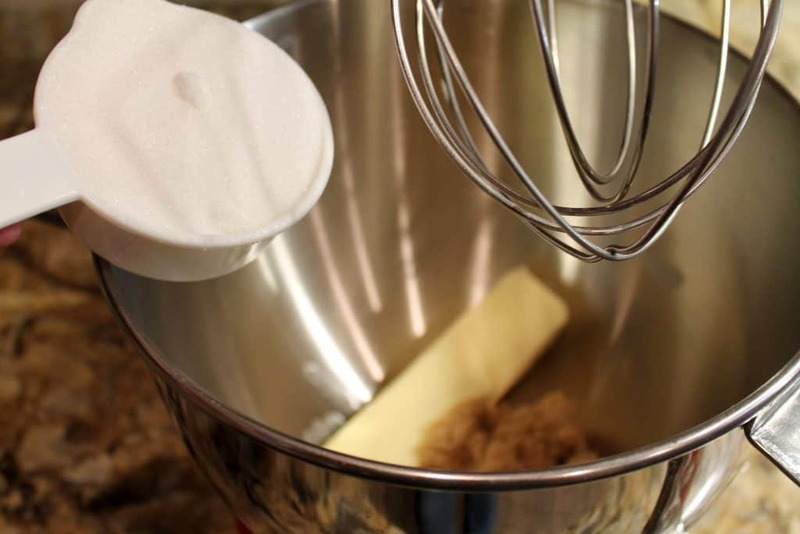 Next, you should add the softened butter to a mixing bowl, and add in the sugars. Cream this all together for about 2 minutes. Then, add in your egg. Mix this for about 1 minute. The next thing you should do is add in your vanilla extract, milk, and baking soda. Once these have been mixed into the cookie batter, you will add in your flour. I like to add in 1/2 cup at a time, scraping the edge of the bowl after each addition. This ensures that all the flour gets incorporated fully. 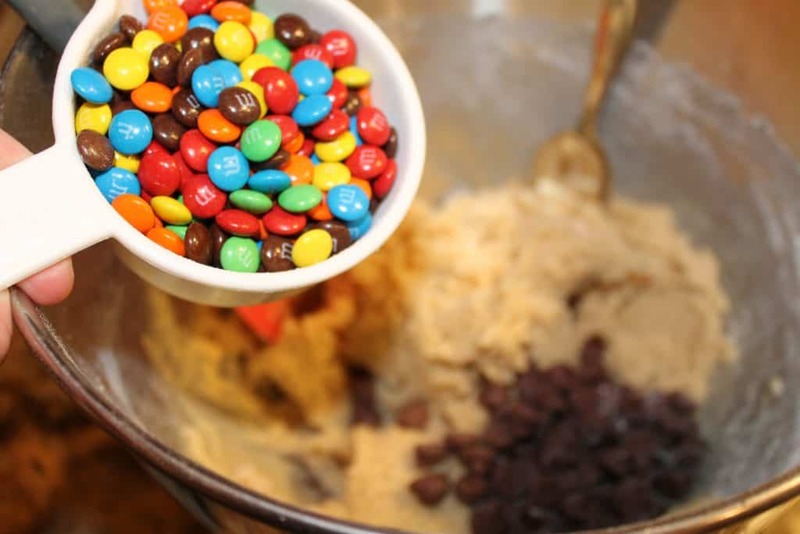 The final step to making these chocolate chip m&m cookies is to add in the chocolate chips and m&ms. Now I used m&ms found in the baking aisle so they are a little smaller than a traditional m&m, but any m&m would work. You will want to use a rubber spatula to mix these into your dough so that they don’t get crushed. 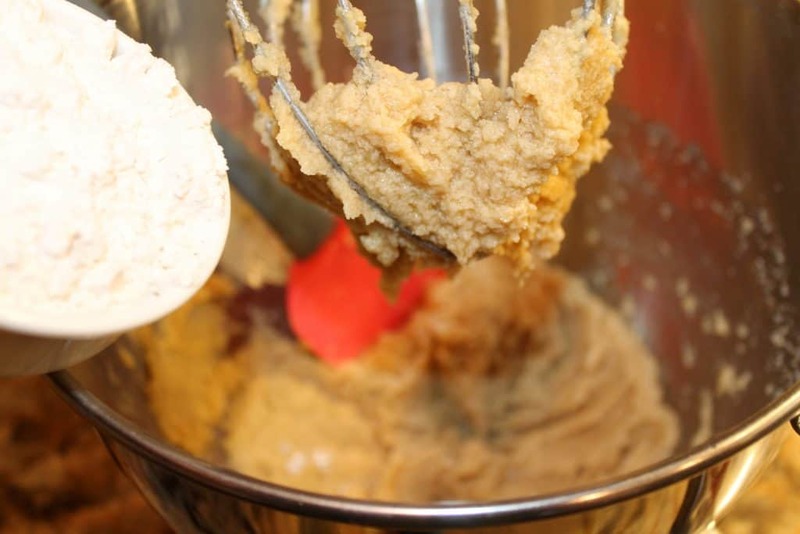 Roll out the cookie dough into 1 inch – 1 1/2 inch balls. Then, flatten them with the palm of your hand. This helps them flatten out faster and cook evenly. Bake these cookies for 8-10 minutes or until the edges start to turn golden brown. Depending on how big you make the cookies, it should make 12-18 cookies. 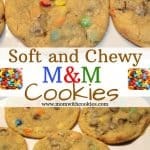 Chocolate chip m&m cookies are sweet as can be. Each bite will be bursting with chocolatey flavor. Not only that they look so colorful with the m&m's scattered throughout. Then, add in your egg. Mix this for about 1 minute. The next thing you should do is add in your vanilla extract, milk, and baking soda. 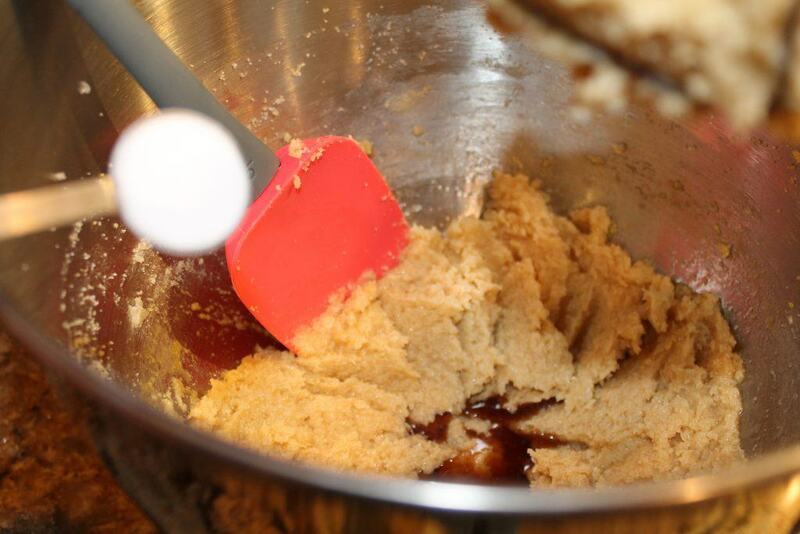 You will want to use a rubber spatula to mix these into your dough so that they don't get crushed. 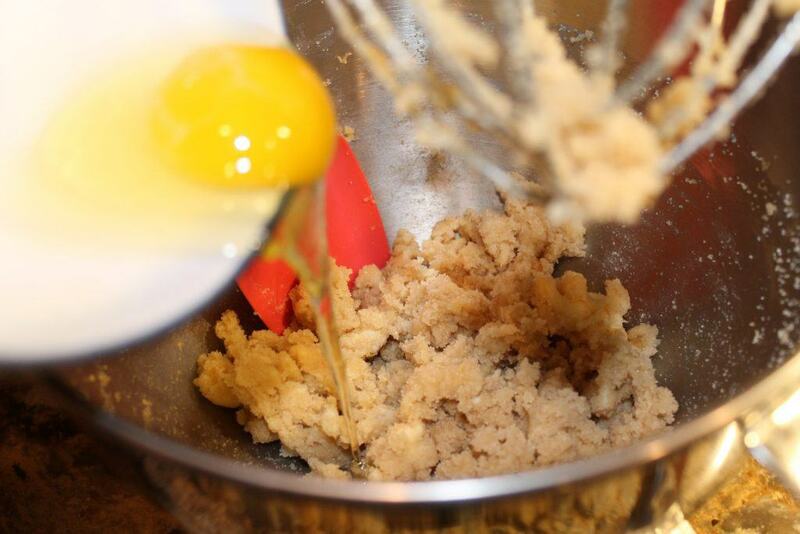 Roll out the cookie dough into 1 inch - 1 1/2 inch balls. Then, flatten them with the palm of your hand. This helps them flatten out faster and cook evenly. Bake these cookies for 8-10 minutes or until the edges start to turn golden brown. Depending on how big you make the cookies, it should make 12-18 cookies.